Contrary to popular belief a LOT of kids are still be raised in areas where they can go outside after breakfast and not be seen til they get hungry for lunch. They’re playing in fields and haylofts, snuggling their ducklings, picking up games of softball and hide and seek and doing all the things a lot of us did when we were kids. Whether you see them after lunch might depend on the weather, whose mom or dad has the best afternoon snacks or whether the pool in town is open. And after supper, they’re outside again. But where are they when it’s time to come in for a shower and bedtime? My brother slipped up once after my mother marched around the neighborhood looking for him. “I didn’t hear you the first three times you yelled,” he said. Oh was he ever in troubbbble. Mum didn’t know she needed the Chuck Wagon Triangle Bell. When we moved out to the woods and 45 acres of land the area our kids played in grew by miles. There’s a stream a third of a mile from the house with great trout fishing, a pond just a hundred miles from the house, thousands of trees to climb…you get the picture. We can yell only so loud for long before we’re hoarse. Save your vocal cords for better things. 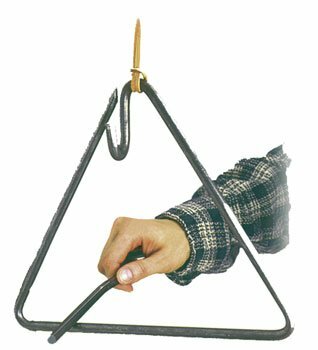 You need a Chuck Wagon Triangle Bell. The Chuck Wagon Triangle Bell is loud! Neighbors a quarter mile up the road can hear the bell when I stood on the back porch ringing in the kids. They’re grown and gone now but the bell is still out there from spring through fall. When my husband is out of sight I can ring the bell and he knows it’s time for supper or there’s something he needs to attend to. He rings it when I’m away from the house. Spring’s here! Try the triangle bell. It’ll carry further than your voice! This entry was posted in A New Homestead, Random Thoughts and tagged homesteading on March 30, 2015 by Homesteader's Supply. We should always keep seed starting simple. If you miss a tomato during clean up in the garden in the fall you’re likely to have tomato seedlings sprouting up in the spring. Nobody fussed over the seeds or planting them just so. They hit the ground and when the soil was the correct temperature, they germinated. Seed starting indoors can be just as easy. You don’t need a lot to get started. I use a professional grade mix for everything. Look for “seed starting medium” or similar wording in the garden department of your local hardware store or nursery. This medium is sufficient for seedlings because seeds have all they need for nutrition to get the seedlings to their first set of true leaves. The first “leaves” are cotyledons, a search party of sorts sent to get the work started. You don’t need to add anything but water to the medium. It’s light enough to allow good drainage and dense enough to properly cover the seeds. 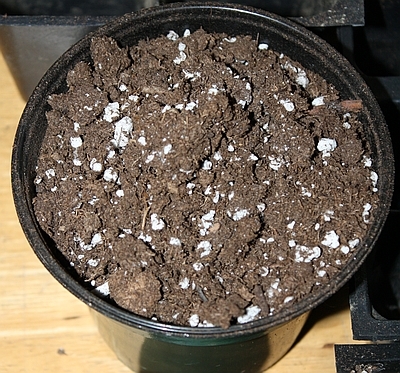 Place the seed starting medium in the container and soak it with room temperature or warmer (but not hot) water. I fill a cookie sheet with containers, spray the medium gently with the hose and let them sit for a short time. The water that drains through is eventually soaked up. A good rule of thumb is to plant the seed three times the depth of the seed. Look at the instructions on the seed packet. A pumpkin seed might need to be 1.5″ beneath the surface but a broccoli seed is going to be barely covered. When reading the instructions on the seed packet make a mental note of light requirements. Some seeds need light to germinate. All the info you need for seed starting might be on the package. Keep the medium damp but not dripping. Be patient. Some seeds will germinate in a few days. 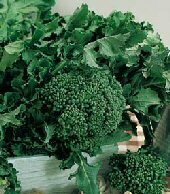 If the plant grows well in cool weather (broccoli, cauliflower, kale, cabbage, spinach and beets, for example) the seeds will germinate quickly. If the plant needs warm soil and weather (such as tomatoes and peppers) you’ll wait longer to see the seedling pushing through the surface. I put “warm” seeds on a heat mat. A sunny window will add enough warmth to help speed germination. Bottom heat speeds evaporation so keep an eye on the containers and water as necessary. Remove the heat mat when the first seeds germinate. When the seeds germinates place the container under a grow light or put it in a bright window. Hang the light 1-2″ from the top of the seedling. Raise the light as needed. 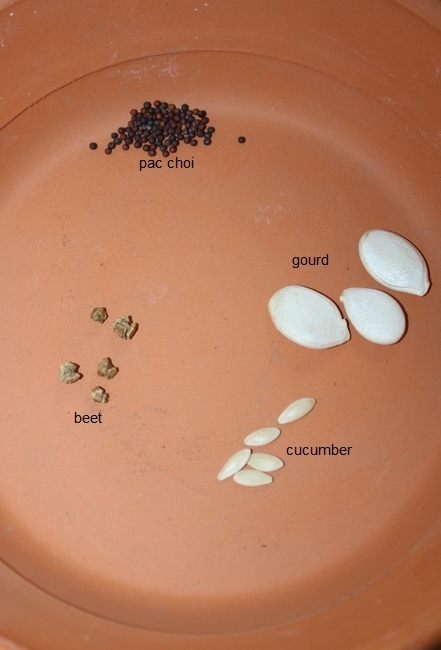 This entry was posted in Gardening and tagged Gardening, seed starting on March 23, 2015 by Homesteader's Supply. Pumpkins and winter squash can be space hogs in a garden but oh aren’t they fun to grow! I have some creative ways to grow them without losing garden space you need for more productive vegetables. 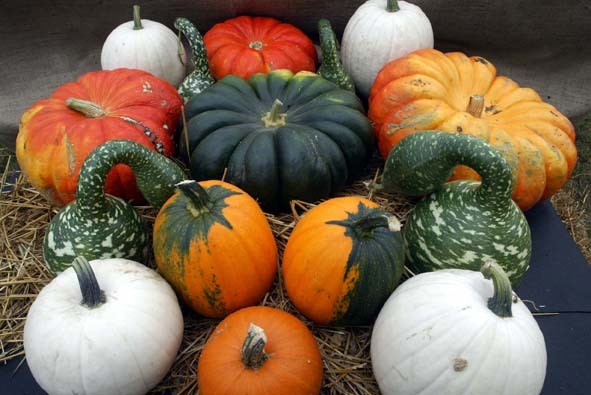 Many varieties of pumpkins and winter squash need long growing seasons. Choose your varieties according to the average number of frost free days you have. You can push the number of days on each end by using HotKaps, IRT and low tunnels and gain a week or two. You can buy yourself a little more time by starting the seeds indoors in large pots three weeks before transplanting. This gives your seedlings time to form their first true leaves before you put them out but it’s a short enough time to keep the seedlings from becoming root bound. Root crops are fussy about having crowded roots and transplanting so be gentle. Pumpkins and winter squash can be grown in mounds or rows. Mounded soil warms faster and provides better drainage. Disturbing the soil to make mounds also helps slow cutworm damage. It’s more time consuming than planting a straight row but the trade off might be worth the work. Pumpkins and winter squash are very heavy feeders. You’re going to need rich soil or a lot of fertilizer. I dig a hole two feet deep and fill it with compost. If you’re planting outside of the garden you’ll want to save the soil in case you want to fill in the hole later. If not, you can use the soil in a raised bed or simply spread it out in the garden. Build a mound on top of the hole. By the end of the growing season the mound will have sunk and become not much more than bump. Compost is temporary. You can use similar methods on porches. I have heavy nails hidden under the roof on my back porch. If you have limited space for a garden you can choose varieties with shorter vines or bushing habits, or find a place to grown them vertically. Fences work well. Add a planter bracket to the top edge of each fence post. Cut sturdy twine one foot longer than the distance from the ground to the bracket. Tie the twine securely to the bracket. Transplant one seedling or two seeds under each bracket. If both seeds germinate you should pluck the smaller/weaker seedling when they are about a month old. Train the vines to attach themselves to the twine. All you should need to do is let the vine touch the twine. Prune excess vines as they spread to concentrate growth in two or three pumpkins per vine. Cattle or hog panels can be braced and bent into an “n” shape. Plant the seeds or transplants on each side and allow them to grow across the panels. It makes a fun space for for kids to get in out of the sun when the vines cover the panels. 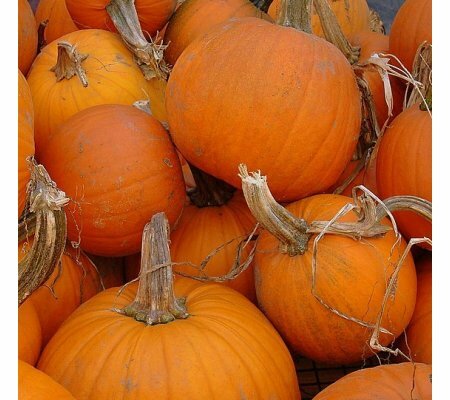 Your pumpkins and winter squash are ripe and ready to pick when the stem is drying and woody. Cut the stem close to the vine, brush dirt off and if possible, allow them to dry outdoors in the breeze. I set mine on pallets under a canopy so they sun doesn’t hit them. Throw a tarp over them if there’s going to be a frost. If your pumpkins and winter squash aren’t ready to be picked when there’s going to be a frost you can protect the plants that are on the ground with tarps. You can try clothes pinning tarps or at least a sheet or two over vertically growing plants. Warmth from the fence post will help protect the plants with the help of a covering. This entry was posted in Uncategorized on March 16, 2015 by Homesteader's Supply. Wes asked about pest control in a comment in last week’s blog so let’s talk about pest control barriers this week. Pests can turn a beautiful garden into a disaster in short time. Miss a day in the garden after transplanting seedlings and you might go back to stubs. Hotkaps are a waxy paper cap used to cover plants or seeds. When the plant grows the top can be opened to allow the plant to continue to grow while protecting its lower leaves. They’re a dual purpose tool. They also warm the soil and protect the young plants from frost. Birds won’t clip the seedlings with their beaks and pests such as cucumber beetles won’t find the seedlings until they’re large enough to survive an attack. Floating row cover on a low tunnel. Photo courtesy of Colorado State University. Barriers do have a couple of downfall to watch out for. As much as they block pests out, they can trap them in, too. Check daily for pests like flea beetles that rise from the soil. If you mulch your plants to block weeds and keep the soil cool (broccoli, cauliflower, cabbage) you might be providing a place for slugs to hide. Cabbage worm and the damage it has done. 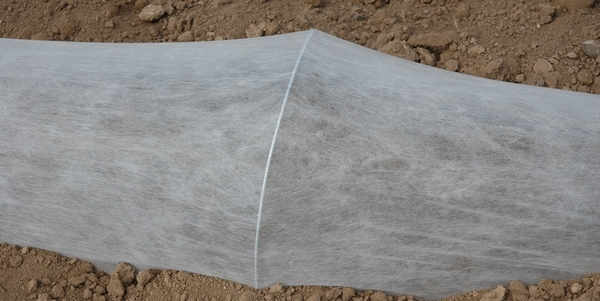 Floating row cover keeps cabbage butterflies from landing and depositing eggs on the plants. 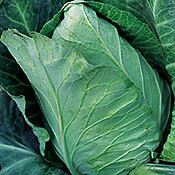 Those eggs hatch into cabbage worms, the best that leaves holes and green droppings on your brassicas. Floating row cover also helps to prevent birds from eating your strawberries and other fruits and blocks grasshoppers, leaf hoppers and similar pests. Remove the cover long enough to allow pollination for plants that need help from bees (eggplant, peppers). Create habitat that attracts frogs, toads and snakes (as long as they aren’t poisonous snakes, of course). The snakes sun themselves on a pile of rocks at the end of the garden in the morning then move into the garden to eat. Broken pots and small stacks of sticks provide shade for frogs and toads. We’ll cover other methods soon. If you need to use a pesticide choose the least toxic necessary (even if it’s organic) and follow the instructions exactly. I use a pesticide called spinosad. It’s available in organic products. It must be used according to label to avoid harming bees and other beneficial insects. Do you have tips you can share? What do you do to control pests in your garden? This entry was posted in Gardening and tagged Gardening on March 9, 2015 by Homesteader's Supply. Cool weather crops are those that do well in…well…cool weather. They often bolt (go to seed) or their growth stalls when the weather gets hot. If the seed packet says “sow as soon as the ground can be worked,” it’s a cool weather crop. This week we’re going to talk about broccoli, cauliflower and cabbage. Broccoli, cauliflower and cabbage don’t need any special treatment when you plant their seeds. You can start the seeds indoors by sprinkling them on seed starting medium and covering them with 1/4″ of the medium. Keep the medium moist but not wet. 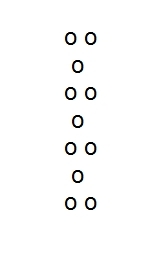 In seven to 10 days the seeds will sprout. Outdoors, sprinkle the seeds on rich soil, water in and keep the soil moist. When the seedlings have their first set of real leaves you can either move them to their own containers or space them out depending on where they’re growing. If you’ve grown seedlings in doors you can harden them off and move them outside with a little protection from frost about a month before the last average frost date for your area. Cool weather crops like to have cool feet, and by feet I mean roots. You can crowd the plants enough to keep the sun off the soil when the plants mature without crowding them so much you stunt their growth. The leaves will fill in and create shade that keeps the soil cooler and slows the germination of weed seeds. It’s a great way to save space in the garden. 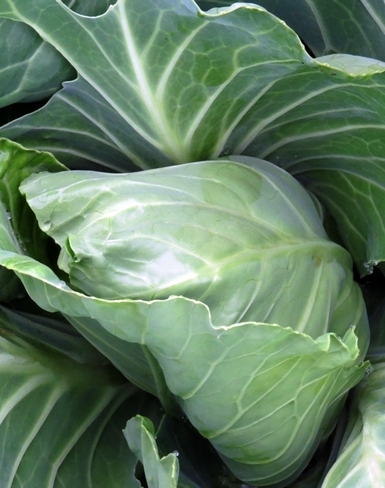 When I harvest cabbage and cauliflower I peal back the large leaves and place them on the ground so that they continue to block the sun from the soil. Those weed seeds are opportunists just waiting for an opportunity to sprout. The leaves will dry and eventually break down to feed the soil. Cauliflower is a little less tolerant of cold and heat than broccoli and cabbage. Use the staggering method of planting your transplants to keep the soil cooler but wait an extra week or ten days before planting. If you have a sudden hot spell and can give cauliflower some shade it will appreciate the break. When stressed, cauliflower might take on a pink or purple tinge. Keep all three of these vegetables well watered. 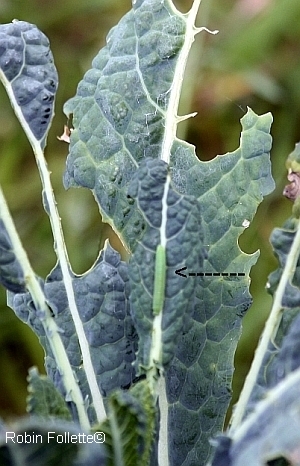 Watch for pin holes in the leaves, an indication of flea beetles, and larger holes and green droppings on the leaves made by cabbage worms. Treat accordingly. Harvest these vegetables before they start to go by. Broccoli heads are firm when ready to harvest. If the tiny flowers start to open you can should cut it immediately. Cabbage firms up when ready to harvest. You can test the heads with a gentle squeeze as they grow to get a feel for firmness as it develops. If you’re not ready to cut a head that’s ready to be picked you can delay more growth that leads to cracking. Plant your feet firmly, give the plant a tug up and twist it 90* either way. You’ll hear roots tear. 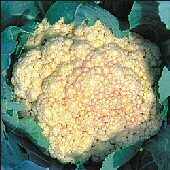 Watch cauliflower for signs of separating curbs or color change and harvest when full grown according to the size stated in its description. This entry was posted in Gardening, Homesteading and tagged Gardening on March 2, 2015 by Homesteader's Supply.